What inspired your foray into show design after such a successful career in luxury menswear? When I had my previous brand Bogosse, the only thing I was not designing was shoes. Since shoes have always been my favorite accessory to wear, it was always a huge challenge for me to find the perfect pair of shoes that were fashionable and relevant to what is going on in the fashion industry without being obnoxiously expensive and uncomfortable. I, therefore, decided to end this drama by designing my own. The brand focuses on creating a laid back luxurious aesthetic. It has a very versatile design that you can wear dressed up or down depending on your mood. A perfect example of what we do is creating runners with back support enabling you to walk as an athletic sneaker for its comfort but designed and meticulously handcrafted by hand with noble materials and skins such as Pythons to give it the luxurious feel. 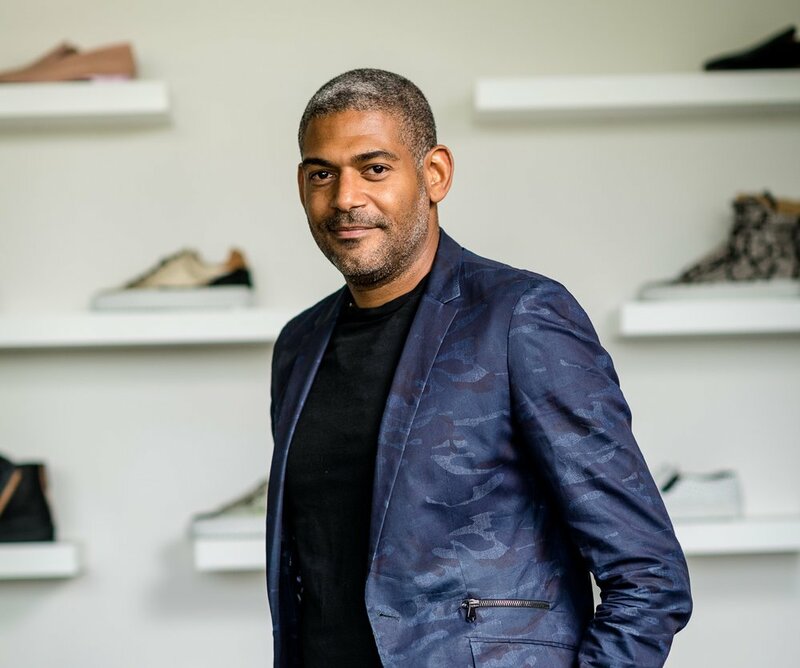 Who would you like to see wear a pair of Fabrice Tardieu shoes? I would love to see Barack and Michele Obama wearing Fabrice. How has social media helped your brand? In your opinion, what makes a good shoe? We are currently working on a capsule collection in collaboration with one of my favorite athletes, boxer Saul Alvares "Canelo" that will be "DA BOMB" as my son Driss would say. "Always pick to fight One battle at a time" and "Never forget that Passion moves Mountains"